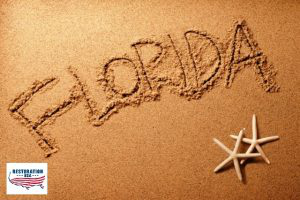 Though Florida seems to manage a year round summer climate, the hot weather tends to amplify when summer hits. Though a sunny day may push towards fun or relaxing activities, it is important to get some jobs done as soon as possible to avoid heat exhaustion. Dryer vents tend to go untouched for throughout the year and can become hazardous. When vents get clogged with lint, they heat up more rapidly and have less area to eliminate the heat for cooling. Because a vacuum may not cut it, a cleaning kit especially for dryer vents is a must-have in a case like this. Cleaning the lint catch with a small brush is the first step, and moving to the dryer duct comes after. Brush the lint trap to rid it of as much lint and dust as you can. Then, unhooking the dryer ducts from the wall will allow you to use a bigger brush to do clean it out. The last part is cleaning the vent on the outside of the home. The direction of a fan blade makes all the difference in it’s effectiveness. To keep your fan doing the job it is made for, the fan’s notorious arms need to be attached correctly. Switching the fan blades so the the lower edge comes around first. This allows the fan to push the air downward more efficiently. With this, the necessity of a lower temperature on your thermostat is second-classed. With this, you will end up saving money on the energy used from your air conditioning unit. Gutters are surely clogged as the world revolves. Since debris can cause problems in your gutter system, this needs to be taken care of as well. When cleaning your gutters, an important thing to make sure of is that the ladder is not leaned on or near any electrical wires. Once you have your ladder up, use a towel to remove wet dirt and leaves. After removing debris, a hose can be used to wash out downspouts. Use a light pressure as most downspouts are not meant to withhold a lot of pressure. A great way to avoid clogged gutters is to use a wire mesh or screen – this allows water to get to the gutter without hindrance of debris. Decks are a nice place to hang out on a beautiful day. The boards should be as straight as an arrow and smoother than a baby’s bottom. Check for misshaped boards, taking not of possible areas that need to be sanded down or even replaced. Looking for curling is also pertinent. If any boards may look warped, keep an eye out for missing screws and nails. If possible, take a trip under your deck to look for these common problems, along with any sign of pest infestation. Termites and other bugs can weaken and dirty your amazing deck. Another element is the finish. Repainting or touching up your deck can push your deck beyond the make or break point – after all, a good looking deck creates a comfortable environment. To paint your deck, power wash it and let it dry completely. Removing the seals with a stripper is also needed. Sand the deck down lightly with a medium grit paper and blow off any remaining dust and shavings. After you’ve picked a color, test it on a small part of the deck to make sure it matches up to your dreams. Once it looks right, apply the finish all the way down the wood. Stopping in the middle can create noticeably uneven paint. Wearing a mask is recommended so you don’t inhale toxic fumes. A great tip is to avoid this project before a possible rain. Speaking of paint jobs, a clean finish to your house can make the property look and feel better. First, power wash the walls with a light detergent to remove any exterior dirt, dust, animal droppings, and even plant matter. With this in order, you would follow the same procedure as you would with your deck. Make sure that the color you choose is within any city ordinances and complies with neighborhood rules.